The expert team at PB Blinds are able to help find the perfect made-to-measure blinds within your budget and styling preferences. Our wide range of sizes and styles available, means you can be sure your home will be stylish and snug this season. We stock everything you need to get the look you want, and our bespoke expert service ensures we are able to include options to suit all types of homes and interior styles, from sleek to our simple roller blinds, our helpful and friendly team are here to help. For free advice and to request a quotation, simply call our experts via 01908 631 663 or send us an email from our online contact form. Pleated blinds are versatile to use throughout the house. 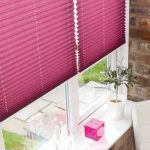 They are ideal for wherever two blinds are needed side by side, as only a minimal gap exists between the adjoining fabrics. There are many design options, each with several colour choices. 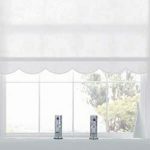 From delicate lace fabrics to encourage light to filter through to light absorbent blackout materials for aiding sleep. Pleated blinds are ideal for conservatories as they can be fitted in the roof area as well as side windows to reduce heat build-up and glare. Pleated blinds are ideal for use with the unique Intu blind system that integrates perfectly with modern windows, glazed doors and conservatories. The patented no-drill system means that blinds can be installed in a matter of minutes and window frames are left undamaged. Intu eliminates the need for cords or loops, making it the safest system available for use with children around. Roller blinds are straightforward blinds and we have a great choice of colours, patterns and styles to suit just about everyone. 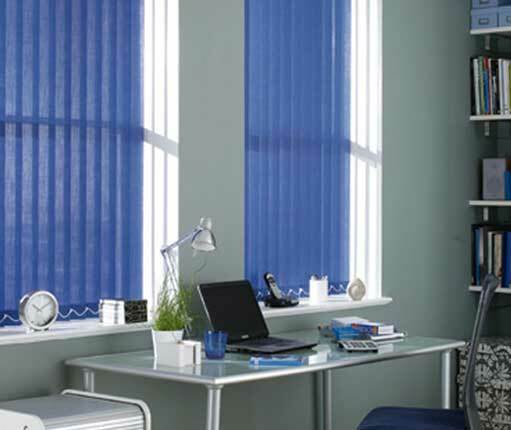 Many roller blinds now have matching vertical and pleated blind designs so you can match throughout your home or office. Blackout blinds are great for bedrooms and wipe clean blinds are perfect for kitchens and bathrooms. Roller blinds can be finished with a straight edged bottom, shaped bottom or decorative pole. You can even add braiding. There are two types of operating system for roller blinds. Choose from either spring tension pull mechanism or the sidewind system, which is very popular and simple to use. Roman blinds offer a traditional, ornate feel that creates a warm, soft environment. Standard fitting includes a cord and wall-mounted cleat to control the blind height. An advanced side chain mechanism is also available for those seeking smoother control over the blind’s operation. There are plenty of Roman blind designs, including patterns and colours to suit all kinds of décor. Standard lining provides good light control as Roman blinds already fit over the window frame and prevent light seepage. There are also thicker lined blackout blinds which are great for bedrooms keeping the light at bay. Velux blinds are specifically designed for Velux roof windows. They offer great daylight control and come in a range of colours, styles and textures to complement virtually any décor. They are available in Venetian, roller and pleated styles. The ideal blind for blocking out daylight. Aluminium backing to reduce/retain heat; manual and remote control options; wide range of colours. Venetian blinds are made from a series of horizontal slats which can be tilted to control privacy and the amount of light let through. They are available in a wide range of materials and colours and are suitable for both the office and home. Our Venetian blinds are made from aluminium to minimise rust and make sure they last for years. There’s a fantastic range of colours and styles to choose from; whether you’re after a sleek metallic look or something bright and colourful for children’s rooms. Stylish, practical and contemporary blinds. There is a wide range of styles and colours to choose from. Wood Venetians are also available with or without tapes. Vertical blinds work well in both the home and office. They help control heat as well as light and contribute to a warm atmosphere in the room. Customers can choose from a wide range of fabrics from polyester to suede in both 89mm and 127mm slat widths. The range includes fabrics specially designed with features including machine washable, flame retardant and blackout. There are also different colours to choose from to match different environments and décors. Vertical blinds can be made on straight rails or curved rails for bay windows. 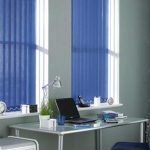 Our vertical blind products can be specially treated to reduce solar glare and optical glare which can be a particular nuisance in office environments. Fabrics featuring this coating offer improved optical performance characteristics and are typically flame retardant to international standards. Woodweave blinds come in a variety of fabrics which includes bamboo and natural grassweave, each in a range of different styles, colours and textures. Each blind is mounted on a wooden headrail and are available in Roman or roller styles. These blinds offer a unique look and feel for your windows and work well in a modern or traditional environment.